Inspirational keynote input from senior school and system leaders, focused on teaching, learning and professional development. We can tailor our input for school leaders, policy-makers or teachers. 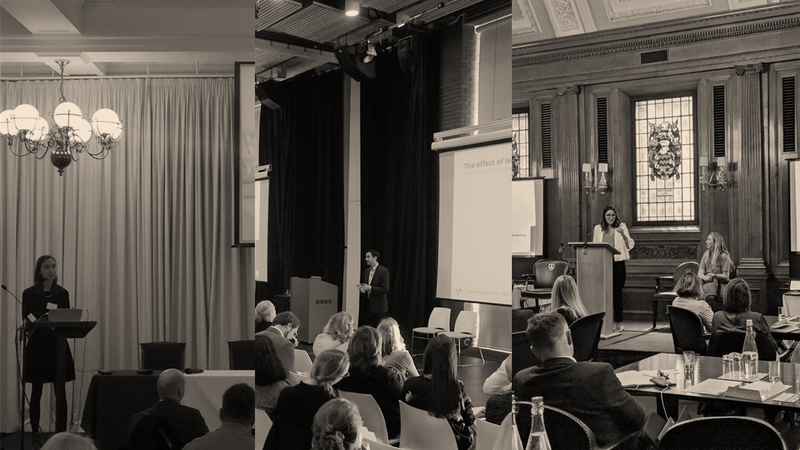 Our speakers are highly experienced and engaging, with experience at the very biggest national and international education events to audiences of hundreds. Typical keynote input can be anything from 15-20 minutes up to 90 minutes for more interactive sessions. Panellists can mix delivery with Q and A as you require. Our input can be tailored to fit your needs, with typical inputs anywhere between 1-2 hours to 2-3 days. Definitely the most inspiring and practical keynote we’ve had in the five years that we’ve run this conference. Delegates have been buzzing. TDT’s facilitator was knowledgeable and engaging. I felt like I got just the right mix of practical advice with enough background theory to make sense of it. Thoroughly recommended. David is the founder and Chief Executive of the Teacher Development Trust, the national charity for effective professional development. He is Chair of the Department for Education’s Teachers’ Professional Development Expert Group and, alongside Bridget Clay, wrote Unleashing Great Teaching: the secrets to the most effective teacher development. David taught maths and physics for ten years in two schools in London and the South East. He is a Founding Fellow of the Chartered College of Teaching. David speaks and writes frequently for the education sector and national media and has had a number of radio and TV appearances on the subject of teaching, teacher development and LGBT issues. Maria Cunningham is Network Development Leader for Teacher Development Trust, where she has worked since 2016. A former primary school teacher, she now closely supports headteachers and leaders across the TDT Network to improve the quality of their processes for staff professional learning. She also leads on the development of the Trust’s government-funded CPD Excellence Hub programmes in six Opportunity Areas and is secretariat for the Department for Education’s CPD Expert Group. Phil is an assistant head teacher with responsibility for eLearning at Cramlington Learning Village. The school has had a fantastic ICT journey which began well over a decade ago and has led to an international reputation for effective and innovative use of technology for learning. He has been appointed as the lead teacher for the UK in a EU-led Creative Classrooms project and is a Google Certified teacher. Phil Naylor is in his second Assistant Headship at St Mary’s Catholic Academy in Blackpool. Phil has taught Science for 17 years ,is a former Lancashire Advanced Skills Teacher, an ITT and NQT professional mentor and a Primary School Governor. Phil is also Assistant Director of the Blackpool Research School and currently studying for an MSc Science. A former maths and economics teacher and a participant of the Teach First leadership development programme, Bethan has taught in London and São Paulo, Brazil. An Economics and German Graduate (University of Leeds), Bethan joined the Trust in 2018 and supports schools through the Trust’s CPD Excellence Hubs programme.